We offer softwood, hardwood, and Baltic Birch plywood as construction materials for our products. View the different wood species here. If density and weight are a concern, please see the Janka Hardness Scale. Select from unfinished (ready-to-finish), clear satin lacquer, or from 14 dye stains. Dye stains on Maple and Oak can be seen here. Also, samples can be ordered here. Some of our racks have the option to select the depth. This is the measurement from the front edge to the back edge of the rack. Note that this is not the usable depth of the rack. That is determined by the rack rail inset dimension - explained below. This is the distance that the rack rails are mounted from the front edge of the rack. 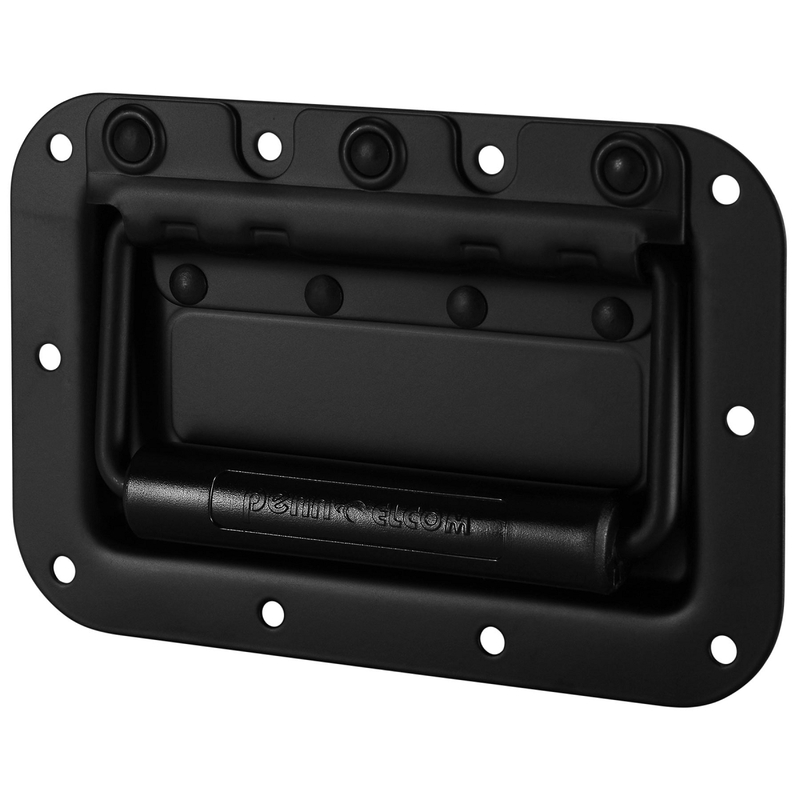 If you would like the faceplate of your gear flush with the front of the rack, you may want to choose 1/8". If you would prefer the faceplate be recessed, you can choose 1/4" or 1/2" inset. You can easily determine the usable depth of a rack after choosing the inset dimension. For example: If you choose a 12" deep rack with a 1/2" rack rail inset, you will be left with 11-1/2" of usable depth behind the front rails. The product schematic images will show dimensions behind the rack rails with a default 1/2" inset. If you need an inset other than the predefined options (your gear sticks out a long ways), type this in to the comments on the checkout page. There is no charge for custom rail inset dimensions. Double and triple bay racks may have the option to add holes in the center divider panels to pass through cables from one bay to the next. The holes are "D" shaped and measure 3" tall and 1-7/8" deep. This is large enough to pass through the connector of a DB-25 cable. Choose this option if you would like rear rack rails installed. This is useful for heavier equipment that needs rear support or rack panels (vent panels, I/O panels, etc.). By default, we will use the same rack rail inset dimension as selected for the front rails unless otherwise specified in the special instructions at checkout. We currently offer three types of handles - surface mount flip handles, recessed flip handles, and routed cutout handles. The flip handles are both spring-loaded road case type handles. Some of the smaller racks can only accept surface mount handles due to the size of the cutout needed for the recessed handles. 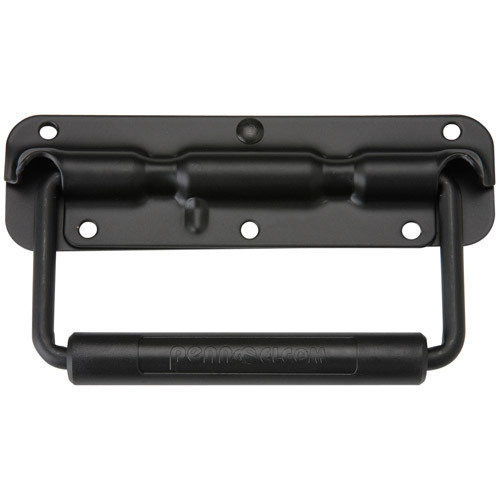 Both types of flip handles are offered in a Zinc or Black finish. The routed cutout handle is a rectangle that measures 4-1/2" wide by 1-1/2" tall. All handles will be centered on the side panels unless requested otherwise. Some racks will offer the option of adding rubber feet to the bottom. 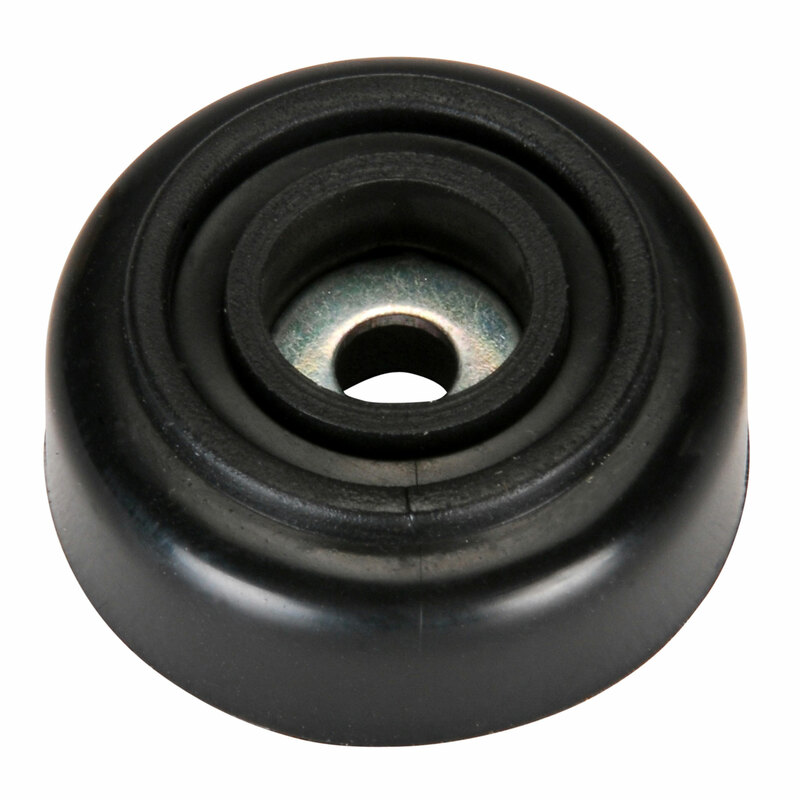 The feet are non-marring rubber that are 1-1/8" in diameter and 1/2" tall. Feet are installed 1-1/2" in from each corner on the bottom panel. Some of our racks offer the option of adding swivel casters. All four casters are swivel, non-marring, ball-bearing, heavy gauge design. The wheels are 2" in diameter, and the entire caster frame is 2-1/2" tall. Casters will protrude from the bottom of the recessed cavity by 1/2". The weight capacity of each caster is 80 pounds. 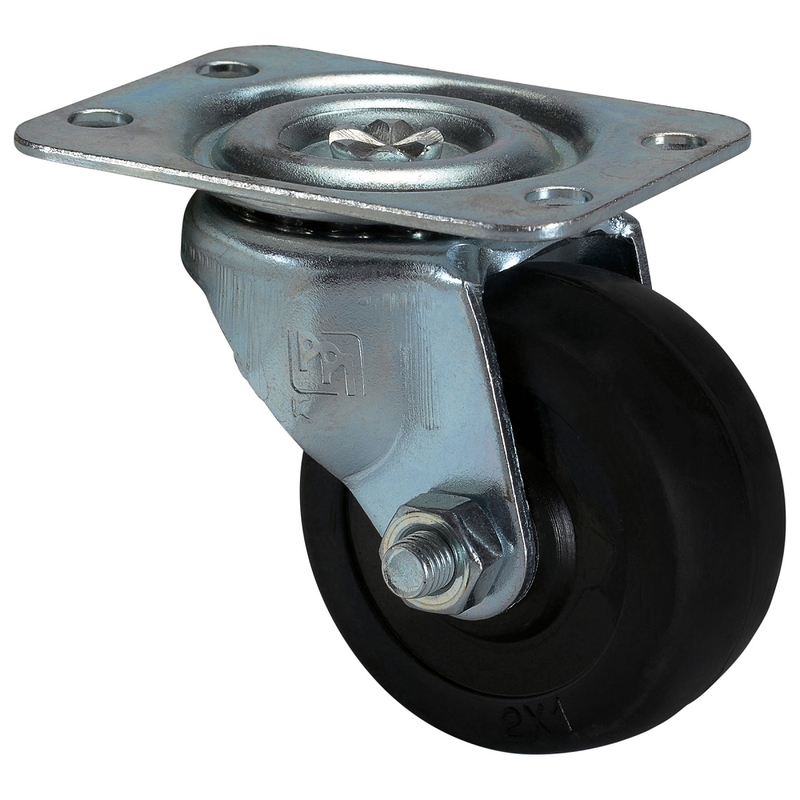 Therefore, four casters will have a rating of 320 pounds. 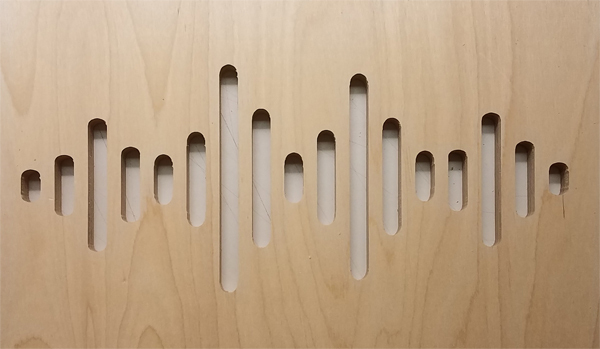 10" deep racks will get a 9 line waveform, measuring 6" WIDE and 5-1/8" TALL, centered on panel. 12" deep racks will get a 9 line waveform, measuring 8" WIDE and 6-7/8" TALL, centered on panel. 14" deep racks will get a 13 line waveform, measuring 10" WIDE and 5-7/8" TALL, centered on panel. 16" deep racks will get a 15 line waveform, measuring 12" WIDE and 6" TALL, centered on panel. 20" deep racks will get a 17 line waveform, measuring 16" WIDE and 7-1/8" TALL, centered on panel. 22" and 28" deep racks will get a 17 line waveform, measuring 18" WIDE and 8" TALL, centered on panel. Any racks shorter than 4U in height will have a less TALL version of the venting. In some cases, centering the waveform may not be the best location. We will decide the best location in this case unless you specify otherwise. See the Add-Ons page in the top menu for other venting options. 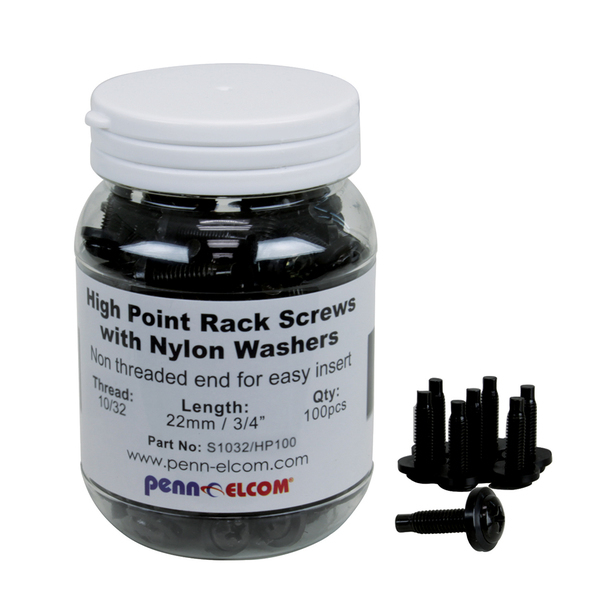 Some of our products include rack screws (rack panels and rack drawers). Most products do not include rack screws. 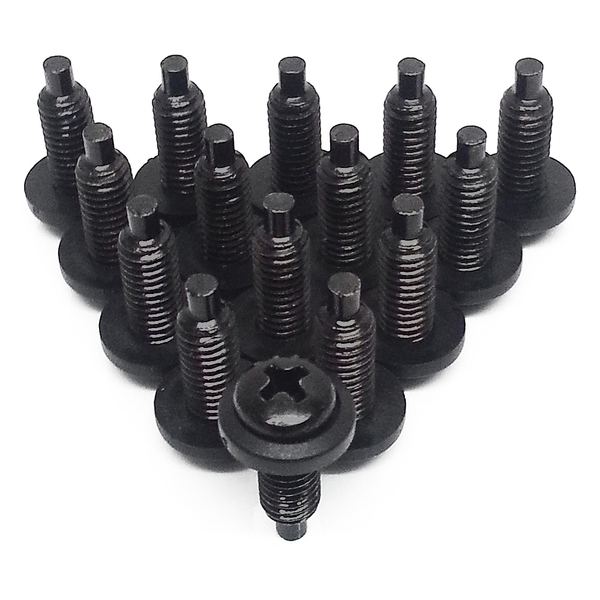 We offer 25 packs of standard rack screws, and 100 packs of high point screws on our fasteners page, here. Order them with your product and it will ship for free inside the rack.